We highly recommend the Apex sharpening system for all of your kitchen and pocket knives. 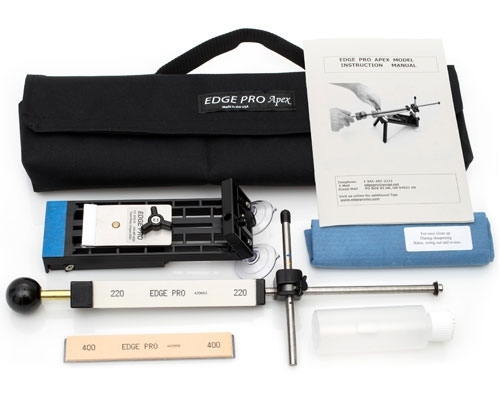 It is very easy to use and enables even a novice to put a great edge on their knives. 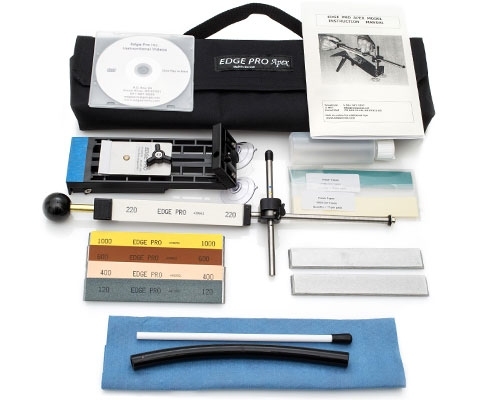 More affordable than purchasing a selection of sharpening stones, the basic (Apex I) set comes with everything you need to sharpen most kitchen knives. You may buy additional stones as needed for specific purposes, at a very modest price. 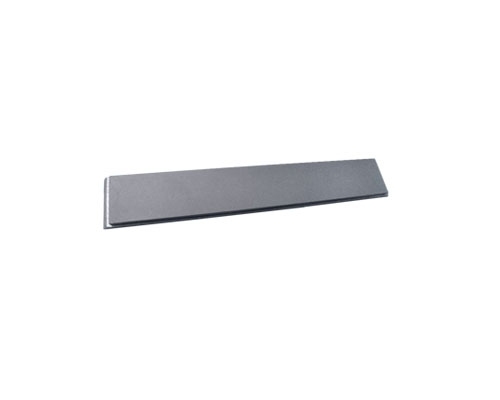 Great for single edge knives as well as two-sided and establish exact angles anywhere from 10 to 35 degrees. Made in the USA. 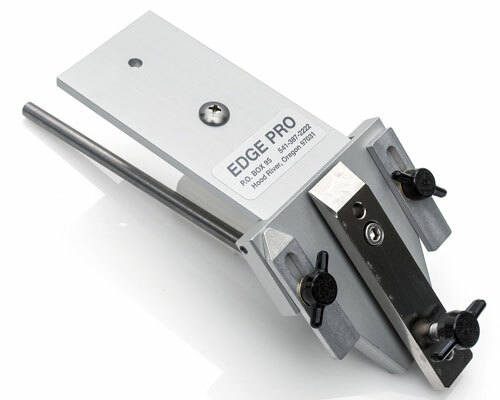 Holding a steady angle is the single most important aspect of knife sharpening; the Apex stand sharpener makes this possible. Adjusts to angles from 10 degrees to 35 degrees and it has a guide system that works; you can sharpen any blade length. This manual system really works. I recommend it! The Apex Scissor Attachment has the ability to sharpen any scissor, hair styling shear, plane blades (up to 2.25 in. wide), any length planer blade, pruners, flat chisels, and most gouges. This scissor attachment does not fit the pro-model. 1/2 Pound bag of Silicon Carbide. Use the silicon carbide on a sheet of glass with water to level and clean the stones. The Apex Super Fine Diamond Stone is to be used on ceramic knives only. This stone is only compatible with the Apex Sharpening Systems. 1000 Grit Ultra-Fine aluminum oxide water stone, mounted on an aluminum stone blank. The finest stone used as the last step before going to Polish. 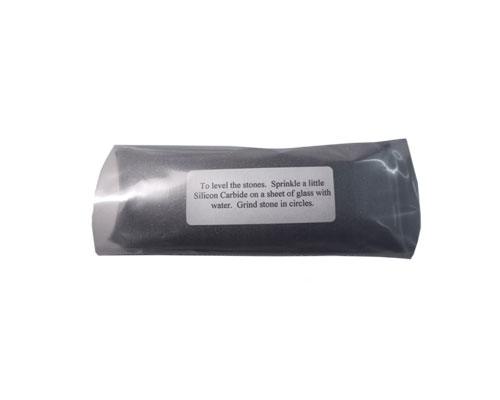 120 Coarse Grit Stone Silicon Carbide. Used for heavy metal removal on extremely dull knives and for re-profiling. 1 Pack of 15 2000 Grit Polish Tapes. 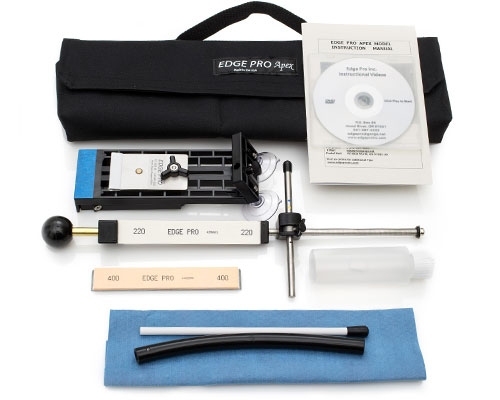 Edge Pro Apex 3000 Grit Diamond Polishing Tape adheres to the blank stone for the APEX Sharpening System. This tape will last for approx. 10 uses before needing to be replaced. 1 Pack of 15 3000 Grit Polish Tapes. 400 Grit Fine Stone Aluminum Oxide. Used for finishing most kitchen knives and for re-sharpening. 600 Grit Extra-Fine aluminum oxide water stone, mounted on an aluminum stone blank. A great stone to finish all kitchen and utility knives. Portable 8 in. 1200 Grit Ceramic Hone. 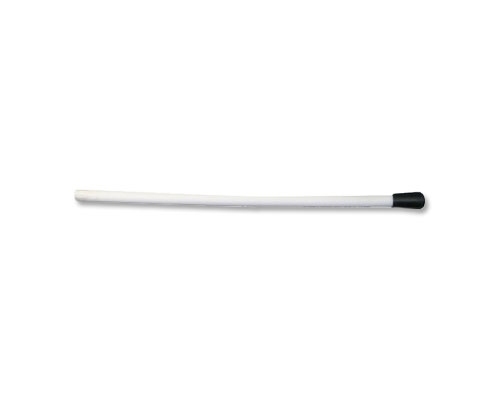 This is my favorite ceramic, it has a very nice soft feel because of the plastic tube handle. It also fits in the serrations of serrated kitchen knives knifes to remove the burr after sharpening. Fine diamond stone. EdgePro only recommends diamonds for ceramic knives, because they will wear down quickly if you use them on everything. However, I find them very useful when I am reshaping a chipped knife, am starting with a particularly dull knife, or on a hardened steel pocket knife. I have not found them to wear particularly quickly in these scenarios and they save me a lot of time. Polish tape mounting blank. The Polish Tape has a sticky back and mounts on to these blanks so that they can be used in the machine just like the stones. 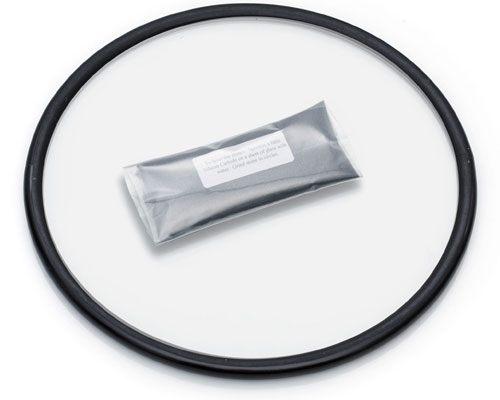 The APEX Stone Leveling Kit is made up of a 12 in. diameter piece of glass that is 1/4 of an inch thick. The edge of this glass piece in then finished off with rubber molding, to prevent it from sliding around during use. It comes with a 1/2 lb. of Silicone Carbide. 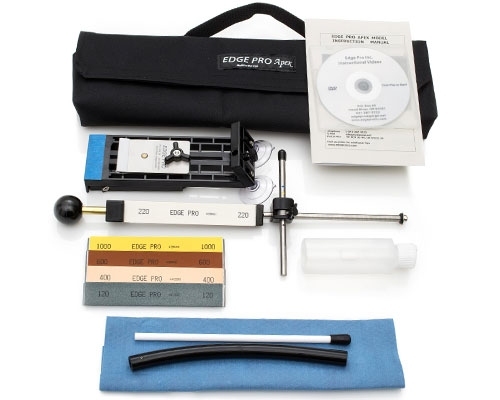 Use the stone leveling kit to resurface your sharpening stones after heavy use. Use the stone leveling kit by sprinkling 1/2 teaspoon of the silicone carbide onto the glass, and adding a little bit of water. Grind the high spots on your stones down until they are level again. Flip the glass piece over, and use it to keep your Apex Sharpener in place during use. 220 Grit Medium Aluminum Oxide Water Stone, mounted on an aluminum stone blank. 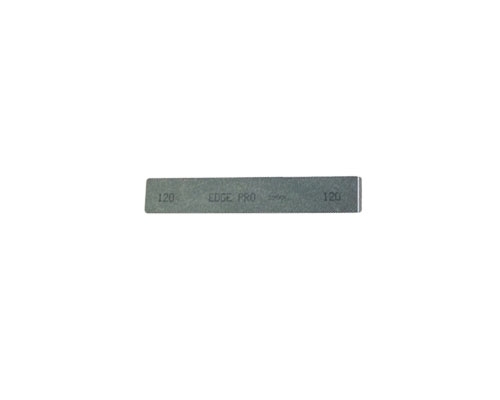 This stone is used for the initial sharpening on all dull knives.